Whether you love the ocean or simply prefer a destination wedding, having a beach theme bridal shower can tie your shower into the whole theme of the wedding, or accent your destination. You can incorporate many items from the beach into your bridal shower so that you feel like you’re at the ocean with the sand in your toes and a breeze in your hair. It isn’t hard to come up with a cool beach theme for the bridal shower when you use these helpful tips. One of the first things people think of when they think about the beach are the seashells. 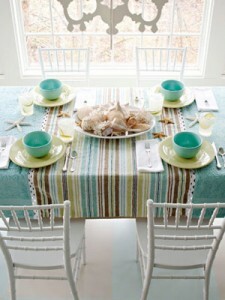 You do not have to be at the beach to have seashells at your bridal shower. Many craft stores sell seashells that can be placed as tabletop decorations to help incorporate the beach theme into the celebration. Starfish are usually in neutral colosr and can be placed in a beach theme very easily. 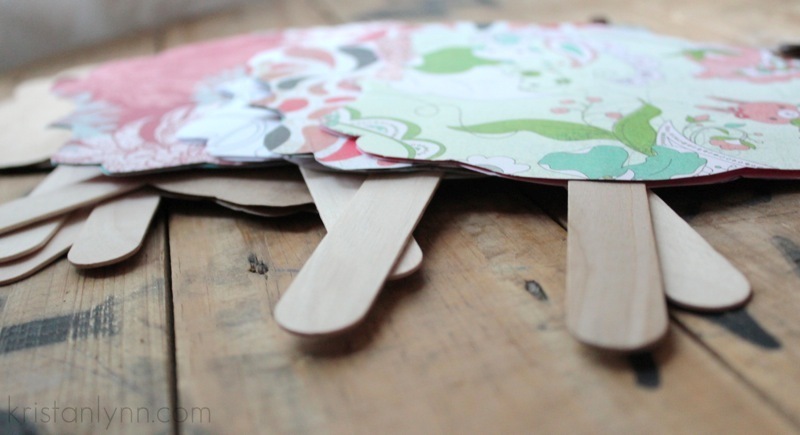 They can be used on the tables or on top of the cake. 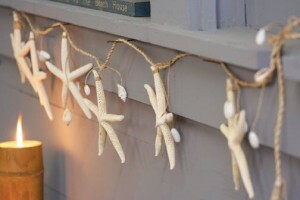 Starfish are just like seashells in that they can literally be placed everywhere to help tie in the beach theme and can even be hung on walls. A fun thing about being at the beach is playing ball with all of your friends. 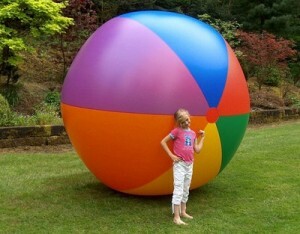 Beach balls are a fun item to use as a game throughout the shower or just to have in random places as decoration Just the sign of beach balls present will make you think of playing ball at the beach. 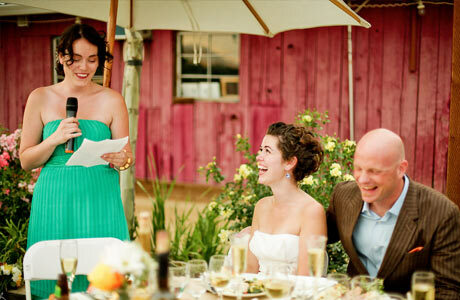 The sand is something that comes along with any beach, so your beach theme wedding shouldn’t be without it. 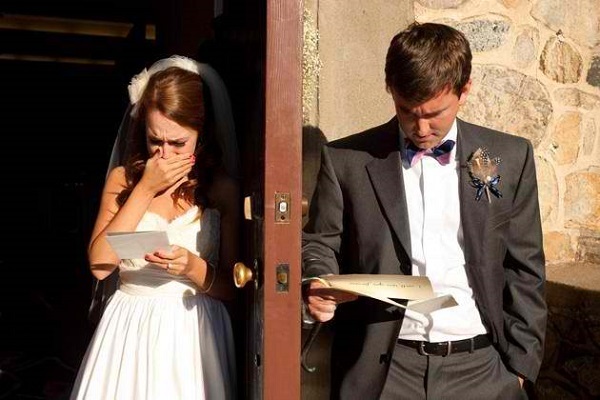 Some people love it and some hate, so you don’t have to use too much at your wedding.. The great thing about bringing the sand from the beach is that it can be done without using real sand. Brown sugar looks very similar to real sand. 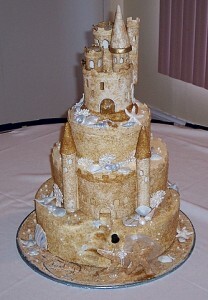 It tastes great and can be scattered around the cake to look like sand from the beach. Instead of the mundane seating arrangements provided at normal bridal showers, you can use beach chairs and umbrellas, or a variety of other beach style chairs. 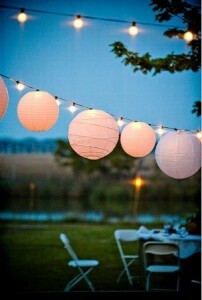 Beach seating is a great way to really go all out and make the average party into a beach theme bridal party. The chairs are very relaxing and the umbrellas can be used to shade the sun, unless you are indoors. Most bridal showers are held indoors but if the weather is nice, the best way to have a great beach theme bridal shower starts with taking the party outside. There you can really use warm weather to make guests believe they are at the beach. Having the party indoors will require investing a lot more into decorations to bring out the beach theme, but might be necessary if it’s cold or raining. If you want your guests to know that the bridal shower will be a beach theme, sending out beach themed invitations is the best way to make it clear what kind of theme the party will be. 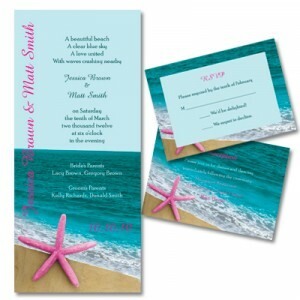 There are many online sites where you can find beach invitations, and you can also find them at many party stores and wedding stores. 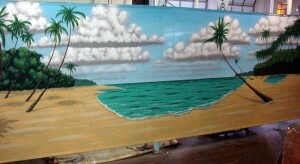 If you really want to go all out, but are not in a location near the beach, you can use beach backdrops to help decorate the event location. These will help you to easily pull off a beach themed bash. 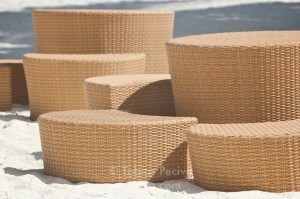 You may not have to use as many smaller beach decor ideas if you have a big backdrop. 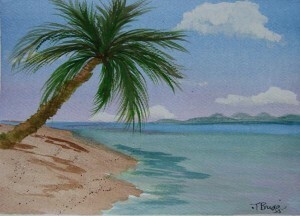 When you think about warm weather and ocean water, you will probably remember the palm trees near the beach. There are many places you can find blow up palm trees to help decorate for the beach themed bridal shower, or you can decorate with palm tree backdrops or figurines. 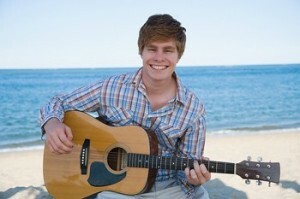 Entertainment is always a great addition to any party and for a beach theme, beach music is a great idea. 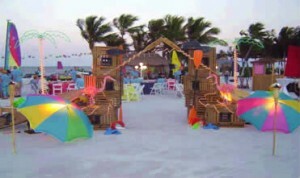 For a beach themed celebration, using beach music gets guests in a beach spirit. It is a great way to get guests dancing and having fun with some music by The Beach Boys, The Embers, Jimmy Buffett, or a number of other artists.